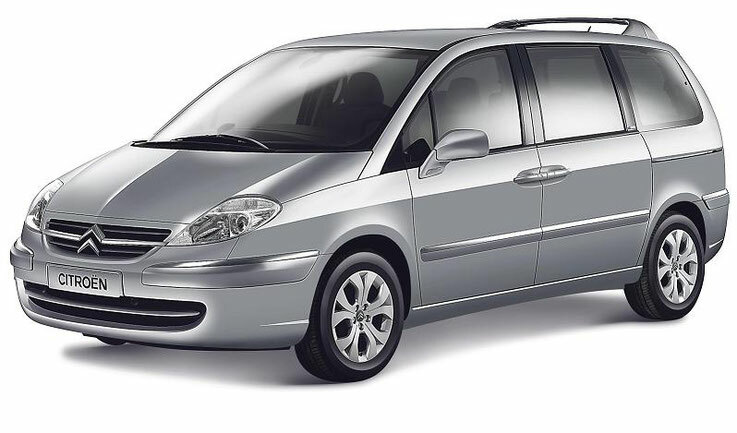 Citroen C8 - 7- or 8-seater front-wheel drive minivan. Production of the second generation of the model started in 2002. During this time, the car was twice restyling - in 2008 and 2012. In the Citroen range, the C8 replaced the Evasion minivan and in many respects surpassed it both in terms of technology and design. A car was developed in France, but not only Citroen specialists, but also engineers from Peugeot and Lancia, applied the hand to it, and therefore the C8 has several doubles - Peugeot 807 and Lancia Phedra. One of the unquestionable advantages of Citroën C8 is its ability to transport bulky goods. If in passenger performance the volume of its trunk is only 225 liters, then after simple manipulations with the seats it can increase to almost three thousand liters. Of course, the French took care of the security of the S8, equipping it with a large number of modern systems. True, in full they are not available in all trim levels. The same applies to equipment that provides passenger comfort. However, even in the standard version, the C8 can offer more of its competitors. Motor range Citroen C8 consists of two diesel engines. The first, HDi 135, produces 135 liters. from. power and 320 Nm of torque already at 2000 rpm, consuming a mixed cycle of 5.9 liters of fuel per 100 km of track. The maximum speed of the minivan with this engine is 194 km / h, and it takes 10.5 seconds to accelerate to 100 km / h. The engine can only be paired with a 6-speed manual gearbox. The second power unit, HDi 160, has 163 "horsepower" power and 340 Nm of torque at 2000 rpm. It can work with both a 6-speed "mechanics" and a 6-speed "automatic", but it needs more fuel per 7.2 miles in a mixed cycle - 7.2 liters. But with a manual transmission and such a motor, the C8 accelerates to 100 km / h in less than ten seconds, and the maximum speed of the car is 203 km / h.